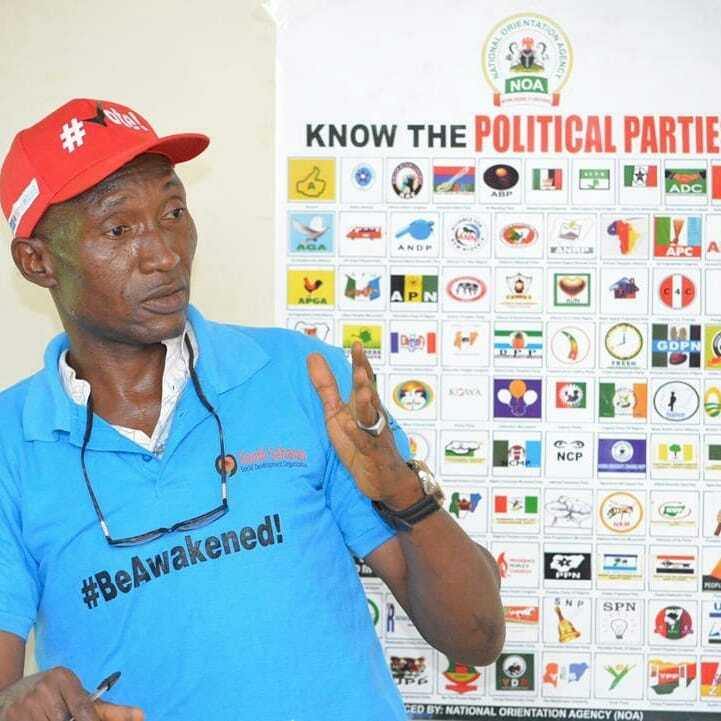 A pro-democracy group, South Saharan Social Development Organisation (SSDO), has staged an awareness campaign in various parts of Abakaliki, Ebonyi State to sensitise the people on the need to abstain from electoral violence. During the roadshow which took off from All Saints Cathedral, Abakaliki, through Ogoja Road and terminated at Ochudo Park, the campaigners took the message to traders, artisans, motorcyclists, market women, and others. Before then, the group had, during a 4-day pre-election dialogue themed: “Towards Credible 2019 Election,” held seminars for various youth and women groups as well as traditional and religious leaders, at the National Orientation Agency (NOA) in Abakaliki. It was sponsored by Open Society Initiative of West Africa (OSIWA) and Department for International Development (DFID). In her opening remarks, the Executive Director of SSDO, Nkechi Igwe, who was represented by the Programme Officer, Good Governance and Community Development, Blessing Uchendu, said that the group embarked on the campaign to educate the people on the need to steer clear from electoral malpractices. She said that it was also targeted at enlightening the people on the dangers of vote buying and selling, electoral violence, voter apathy, ballot-box snatching among other bad acts. State Director of the National Orientation Agency (NOA), Dr Emmanuel Abah, in his speech, blamed poverty, illiteracy, and bad governance as factors responsible for the continued perpetuation of electoral malpractices in Nigeria despite campaigns against it. He also blamed desperate politicians for capitalising on this perceived lacuna to promote electoral abuse for their selfish ends; saying that if left unchecked, the situation might not stop sometime soon.